BTV Beats Review: Recording artist challenged to create studio quality song in 1 hour. On his laptop. The Challenge: To see if Warner/LoudThud recording artist/ producer, Owen Critchley could create a pro studio quality song and recording in 1 hour… On his laptop. 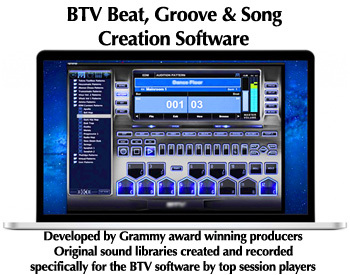 Download the BTV Groove and Song Creation software here. I believe they are still offering the entire software and soundbank package at $47.95 which I think is friggin’ brilliant. I hope we all can keep getting it for that price. NOTE: **I just checked and today BTV Beats and Song Creation is still available at the price listed above. You can lock in BTV’s price here. Well, as you no doubt have noticed, we are in a very exciting time in the music industry. A time that is not only changing rapidly, but more important, the new music industry is one that is flooded with new and ever-expanding opportunities for indie recording artists. The demand for original and varied music has never been higher. 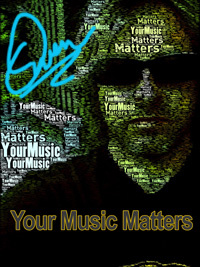 From thousands of film and TV opportunities for our music, to video games and online content. The list of opportunities to place our songs and music is only going to get larger all the time. We simply have to meet these opportunities with quality AND quantity. BTV Beats & Song Creation software and the Easy Home Recording Blueprint method give indie artists a very simple and an extremely powerful pair of tools for indie artists recording at home to have it all: Quality, simplicity, affordability and speed to meet their careers head on, and on their own terms. That Beat. That Groove. That Song in Your Head? Seriously. Shouldn’t You Be Able To Record It Easily? That is exactly why I created this video for you and why I’m excited by the opportunities this software will open up for everyone. The huge sound library and the simple and instinctive software make capturing your best groove, beat and song ideas simple and immediate. The low price puts this tool is right there in your grasp. As you can see, I’m pretty pleased with this powerful and affordable tool. You see, for me, the sound library alone (which has been created specifically for The BTV Song Creation Software), are worth more than this price and are going to be a huge asset for my composing, film music and music licensing work. This is another piece of what I call “the Home Recording Revolution,” that is now taking place. I recommend BTV for quick and professional quality Beat and Song Creation – it is a real opportunity to immediately take a big leap forward in the quality of your next home recording. Choose the BTV sound library you need here. So what exactly did we do in the video? The whole process of building a release-quality recording is accelerated when we start with very high quality sounds and easy to use software. BTV has perhaps the best sounding, ready-to-go sound banks and pre-recorded loops and bedtracks. that means when I took on the challenge to write and create a studio quality song in 1 hour, I started the challenge in the best possible position. We started by accessing one of the many styles of drum kits that are included in the BTV sound library. To make the loop our own, we used the simple slicing and dicing editing in BTV. Because the tracks I created in BTV are fully exportable, I sent a bed track over to very simple recording software (Garageband) which is where I recorded the vocals. I completed the song, start to finish in about 52 minutes and spent just short of 20 minutes mixing it. So for about 1 hour’s work, I now have a recording that meets or exceeds the quality needed for release, use in films or other lucrative licensing opportunities. When I was using BTV Beat and Song Creation software, it felt almost like an unfair advantage knowing how many indie artists are struggling to get their song ideas down so they sound like what’s playing in their heads. If you are really interested in getting your tunes to sound like something, you need tools that you love using. That’s it. Things don’t somehow HAVE to be hard to be good. You get me? That is the key to everything right there. I’m going to say it again, ok? You need tools that you love using. BTV Groove, Beat and Song Creation is a tool that you’ll love using that you can afford. Download it here and you’ll be sounding like something in about a half an hour from now. Go get it now and then blow my mind with your next tune. Many of our members use a single source for over 100,000 pre-made, ready to use Beats. The beats (and full groove tracks) are available at what is now the internet’s largest beat, bed-track and groove database.